We’re committed to helping our people develop, excel and achieve their own version of extraordinary. Our Learning & Development Team work closely with people throughout the company, helping them to progress - both professionally and personally. Here at AJ Bell, we help people to invest. In its own way, our expert Learning & Development Team shares that same goal. By working with you and your Manager to create a tailored learning plan, the team can help you invest in your personal growth, your career and your future with AJ Bell. During your first few weeks with AJ Bell you will be invited to attend our Company Awareness Programme. This is designed to provide you with an overview of how our business works, and to help you understand the importance your role will play in the success of AJ Bell. We will give you the time and support you need to complete the regulatory training required by the FCA. We have a dedicated IT suite where you can take time away from your busy day to undertake this learning. Our three-part Telephone Excellence Training will give you the personal skills to build and develop those all-important relationships with our customers, whatever your level of experience. 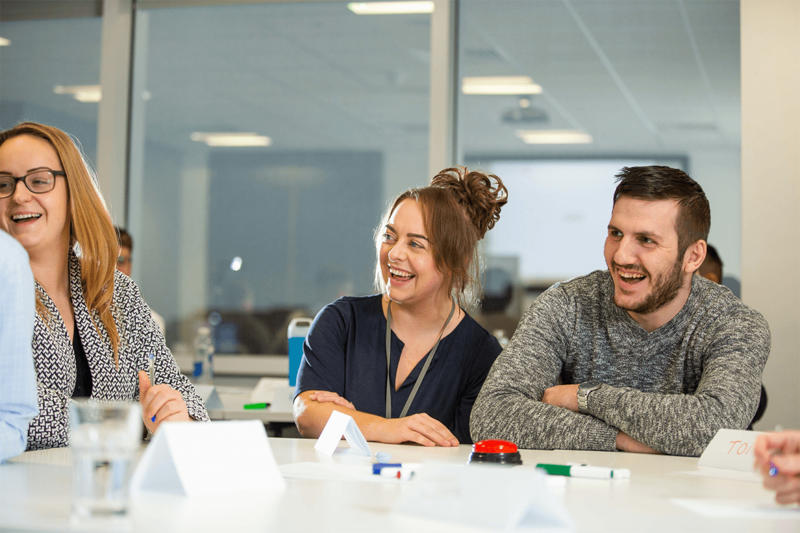 After your first few weeks, your on-the-job learning will be supported and complimented by the Learning and Development Team in order for you to obtain the specialist skills required for you to excel in your role. 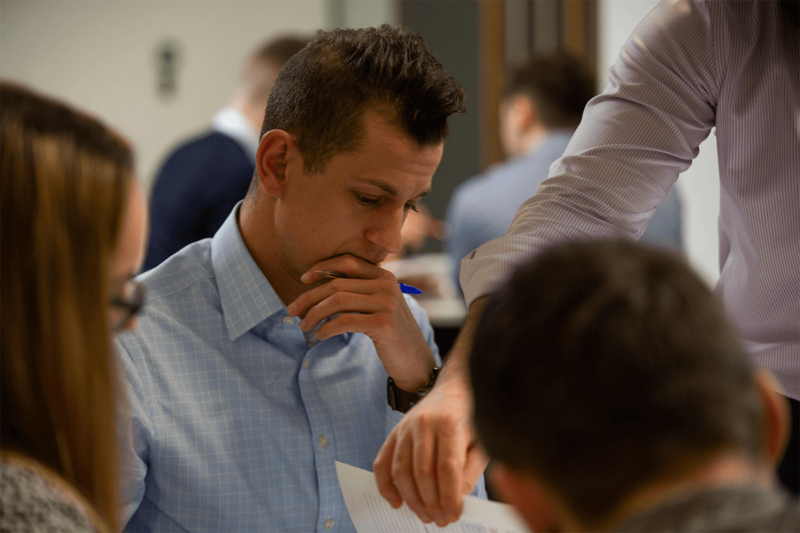 Through our carefully designed workshops and master classes, you’ll develop the skills and behaviours needed to be an effective and influential leader. You’ll improve your communication skills, reflect on your own leadership style and harness your ability to motivate and engage others. You might even have the opportunity to study for a leadership and management qualification! Where appropriate for you and your role, we will give you the opportunity to continuously improve and develop your knowledge by supporting you through industry-recognised professional qualifications. During 2018, over 190 hours of our Company Awareness Programme were delivered to new starters. 100% of our people who undertake the regulatory training required by their role are successful. 96% of employees who completed our in-house telephone training, said the course improved their confidence. 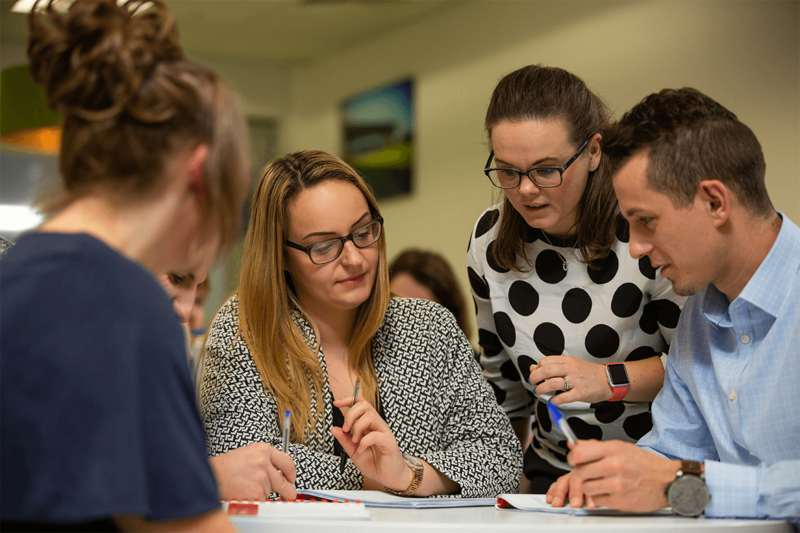 In 2018 our Learning and Development Team supported or delivered over 1,200 hours of face-to-face specialist skills training. In 2018 113 of our people received internal promotions or were seconded to other teams in AJ Bell. 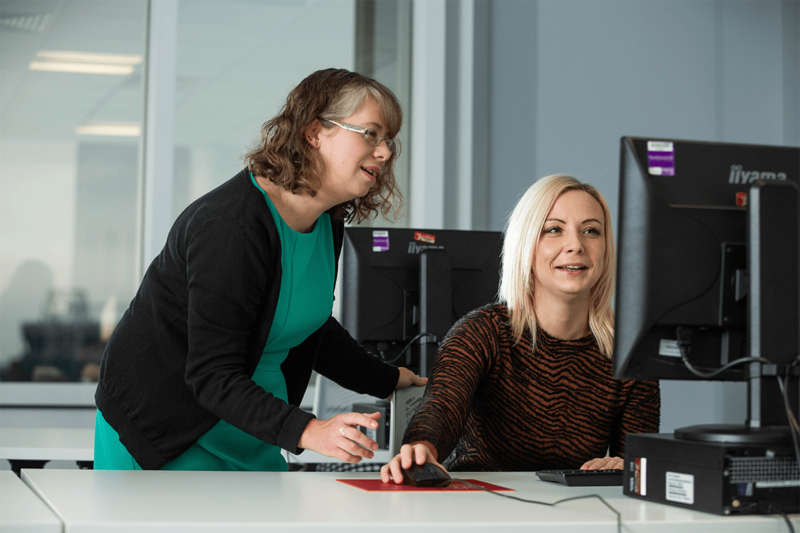 In 2018 alone, we supported 150 of our employees on their journey to achieving a professional qualification. Our most successful people take responsibility for developing their knowledge and skills as soon as they start with us, and we're proud that most of our Client Services Managers and Team Leaders joined us as Administrators, progressing in the company through hard work and determination.